These things had to take place, for this was God’s plan that Jesus Christ should suffer, be rejected, be put to death, and then be raised back to life. This was God’s will for him and for us, for this was God’s plan of redemption for our lives. For, through Jesus’ suffering and his death on a cross, he who knew no sin became sin for us that we might become the righteousness of God, created to be like him in true righteousness and holiness (2 Co. 5:21; Eph. 4:17-24). And, Jesus said that we would suffer like he suffered, too. He said that if we follow him we will be hated as he was hated. And, as they persecuted him, so we would also be persecuted. And, he said that many of us would be put to death. But, God has a purpose in that, too. For, through our suffering he is making us holy. He is conforming us to his likeness. He is purifying our hearts. And, he is pruning away the flesh from our lives, so that we who are bearing fruit for his kingdom might bear even more fruit (spiritual results). A disciple is a follower, a believer in someone or something. But, believer and follower are synonymous. In other words, we can’t be a believer without also being a follower. And, a follower is one who respects, obeys, abides by and adheres to the one who is being followed. So, to believe in Jesus is to also follow him, which means it is also to show him honor and respect, and to obey his instructions to us for godly living. In order to become one of his followers, through faith in him, though, we must deny self, the flesh. And, this is called repentance. We must willingly choose to give it all up to follow Jesus, to leave our lives of sin behind us, and to surrender our wills to the will of God. We must see Jesus as our redeemer who bought us back for God so that our lives are no longer our own to be lived the way our flesh dictates. But, now our lives are to be lived for his good pleasure and according to his will and his purposes for our lives. And, then we must take up our cross daily and follow Jesus. And, the cross represents death – death to sin and death to self. And, this is not a one-time deal and then we are done until we go to heaven one day. This is every day, moment by moment, resisting Satan, fleeing temptation, putting on the armor of God with which to fight off Satan’s evil schemes against us, and it is daily drawing near to God via listening to him and obeying him. A lot of people these days are not teaching this, though. They are not teaching the crucified life. And, some are even telling prospective believers in Jesus that God requires no repentance and no obedience in order for them to be saved and to have eternal life with God. But, they are promoting godlessness, and unrighteousness and wickedness to continue in the hearts and lives of those who profess faith in Jesus, and so their followers never are free from their slavery to sin, and what they have believed is a lie. A lot of people have this idea of salvation that it is a one-time decision we make for Christ in our lives and then we are good to go until the day we go home to be with Jesus for eternity. I know this kind of teaching is rampant, for I see this over and over again. I see how many people believe they have heaven secured based on some prayer they prayed or some decision they made, or based on a baptism or a public confession of faith. But, Jesus never taught that. And, his New Testament apostles never taught that, either, which we all should see if we read scripture in context and not pull scriptures out of context to suit our own purposes. All throughout the New Testament we are taught that our salvation is ongoing and that belief is present tense, and that belief is repentance, submission and obedience to our Lord, and that we do this daily, not just once and then we are good to go. So, what Jesus is saying here, essentially, is that if we hold on to our old lives of living for sin and self, that we will lose them for eternity. And, we don’t let go just once. Every day we must take up our cross and follow Jesus. But, if we daily we do take up our cross and we follow (obey) Jesus, then we have the hope of eternal life with God in heaven. So, if we hold on to the world and to doing what our flesh desires, and we live to please our flesh instead of live to please our Lord, which has to do with our conduct, our attitudes, our values, our thinking and our actions, then our lives are lost for eternity, and hell is our destination, not heaven (See also: Rom. 8:1-17; Gal. 5:19-21; Gal. 6:7-8; 1 Jn. 1:5-9). So, what is this saying exactly? 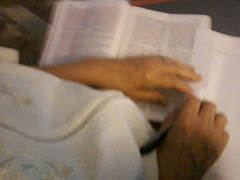 I wanted to understand it fully, so I went to Bible study helps to comprehend the original meaning of the word used. The word translated into English as “ashamed” also means “disgraced,” “like someone ‘singled out’ because they misplaced their confidence or support (‘believed the big lie’); to be ashamed (personally humiliated)” (1). Wow! That gives us a very vivid picture, doesn’t it? This is saying that if we are ashamed of Jesus and his words, that we are feeling humiliated because we misplaced our confidence and our support in Jesus Christ. It is a lot like putting our trust and hope in someone only to be disappointed because he didn’t measure up to our expectations, and thus feeling as though we were wrong in identifying and aligning ourselves with him. I think that going along with this also has to do with fear of rejection, i.e. a feeling of humiliation or of embarrassment to be aligned with Jesus Christ and His Word, not wanting to talk about him or to share his Word for fear that other humans will reject us. It is about choosing to be liked by humans over obedience to our Lord, because it is more important to us that people like us rather than we love them enough to tell them the truth. And, in context, it goes to the matter of saving our lives in this world and then losing them for eternity. Wow! For, being ashamed of Jesus has to do with loving our own comfort more than we love Jesus, and to love him is to die to sin and self and to take up our cross daily and follow (obey) him. And, so if we deny him by being ashamed of him and his words, because we want to be liked by others more than we want to truly love our Lord and other people, then Jesus says that, if this is what we do, then when he returns, he will be ashamed of us. “For the Son of Man is going to come in the glory of His Father with His angels, and WILL THEN REPAY EVERY MAN ACCORDING TO HIS DEEDS” (Matt. 16:27 NASB). “Not everyone who says to Me, ‘Lord, Lord,’ will enter the kingdom of heaven, but he who does the will of My Father who is in heaven will enter. Many will say to Me on that day, ‘Lord, Lord, did we not prophesy in Your name, and in Your name cast out demons, and in Your name perform many miracles?’ And then I will declare to them, ‘I never knew you; depart from Me, you who practice lawlessness.’” (Matt. 7:21-23 NASB). Seeking the wandering sinner to find. Willing to suffer others to save. Fit me for life and Heaven above. So true. It is a day to day struggle to deny self and fill ourselves with Christ’s purposes. That is the importance of the church body — to have other believers help us stay on track. Yes, we need each other.